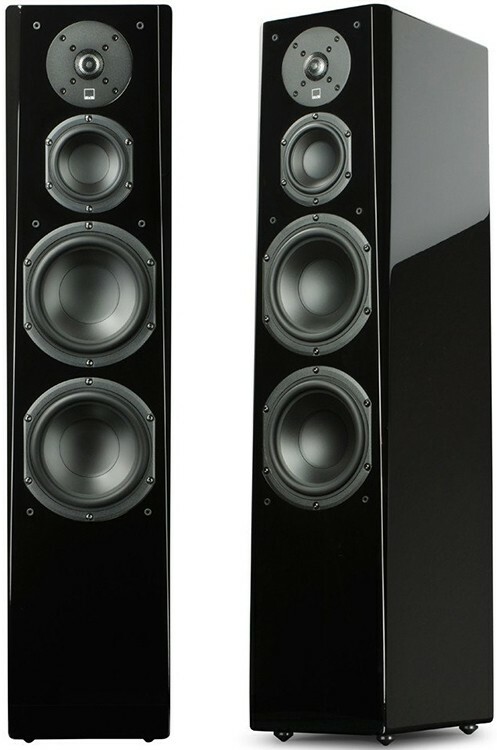 SVS Prime Tower is the reference level floorstanding speaker from the SVS Prime series for 2-channel audiophile or home cinema system. 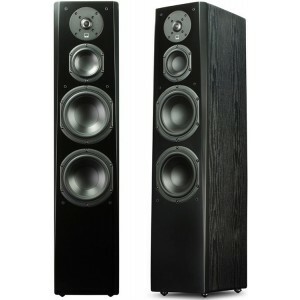 - Dimensions (HWD): 36" x 8" x 11.1"
SVS Prime Tower is a reference-level floorstanding speaker with pinpoint precision, excellent tonal balance, simple bass response and all the characteristics of top high-end floorstanders. It’s a true accomplishment for dual-channel audiophile or surround sound home theater systems, considering the benchmark in performance value. With manufacturing and design derived from the acclaimed SVS Ultra Series speakers, the Prime Tower is an acoustic achievement that challenges the best speakers in the world. 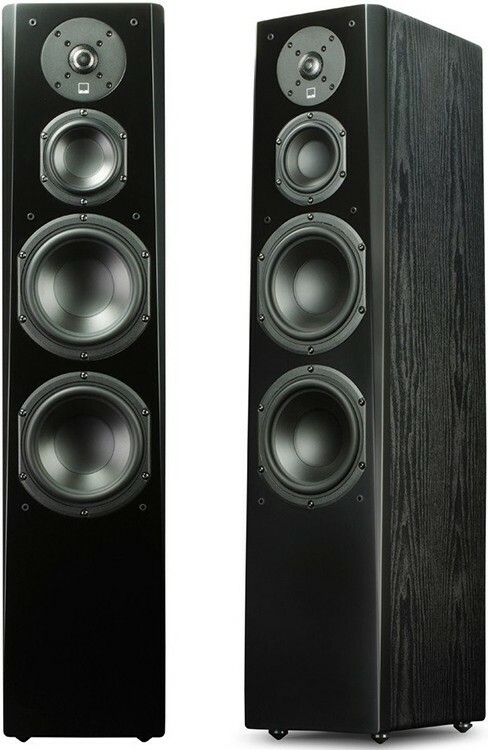 Prime Tower speakers was designed for acoustic excellence from the high-grade drivers and complex SoundMatch crossover to the ultra-thick baffle, internal bracing and FEA optimised tweeter diffuser. The Prime Tower speaker’s 1" aluminum dome tweeter is light, efficient and sturdy for crystal clear playback at high volumes. The clarity affords a sense of superior transparency, while offering an ‘airy’ presentation and incredibly tangible highs so feminine vocals and dialogue always sound crisp and even. Carefully designed for sonic excellence, the 4.5" midrange driver is mounted in its own dedicated and entirely sealed compartment to ensure a smooth, precise and clear midrange free from coloration. The cone material is incredibly light and rigid and retains a flat frequency response with exceptional handling across the core mid-range frequencies. Dual 6.5" woofers produce simply deep and articulate bass to set the mood and punctuate the low-end impact of instruments, basslines and movie sound effects. 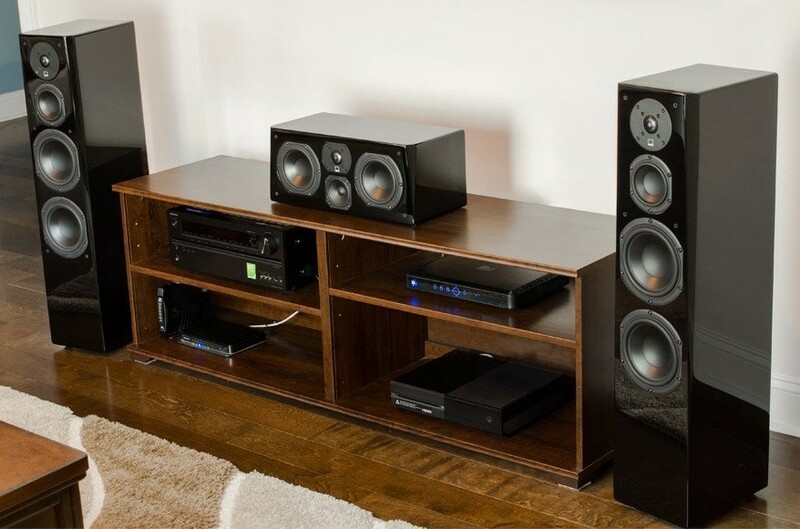 Each woofer has a separate internal compartment in the cabinet with its own custom port tuning frequency. The result is deep, powerful and accurate bass you hear and more crucially, feel. The innovative no-compromise SVS SoundMatch features 3.5-way crossover and tapered array designed so each woofer has its own discrete crossover to prevent beaming and create an expansive yet focused and accurate soundstage with precise frequency response at all listening positions in the room. The SoundMatch Crossover tuning process ensures pinpoint accuracy from lucid highs to palpable lows with pristine musical purity. Tapered edges on the speaker’s front baffle reduce edge diffraction for clear and precise soundstaging. The cabinet’s presence is dominant in acoustics but not aesthetics and offers a contemporary industrial feel with audio enhancements like shorting rings and a tweeter diffuser. All these advancements are packed into a sleek but commanding cabinet available in stunning piano gloss black or premium black ash finishes.